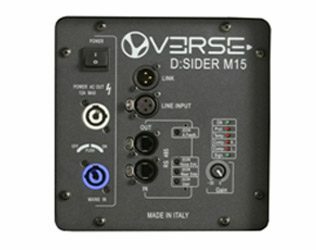 D:Sider M15 is a full-range high performance stage monitor, equipped with VERSE better technology and with a unique coaxial loudspeaker designed to our specifications. 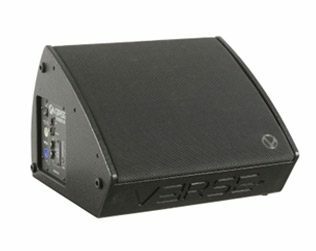 We believe that it sets a new standard in the stage and touring sound reiforcement; the very linear curve response, the specially designed angular coverage and the considerable reserve of power make it ideal for live concerts and for every need of monitoring. And finally the inevitable digital signal processor with remote control and the functions to directly access a phenomenal adaptive antifeedback and two special settings suitable for most usual stage situations, complete the endowment of this extraordinary product. mm 510 x 370 x 490 - 20.07" x 14.56" x 19.29"